Hi there, and welcome to this section on the Greek language! A lot of people want to learn how to speak Greek, but struggle to find a good teacher and/or recommended tuition. Have you found yourself in this position while trying to learn a language? It can be absolutely infuriating, and more often than not can cause you to throw in the towel not long after you start. When I first landed on the island of Rhodes to live, I was seriously wet behind the ears and could not understand anything. ally embarrassing (and frustrating) when it comes to finding your way around or asking for something that you want. Even as a tourist, it is polite to at least try to speak the language of the country you are visiting, don’t you think? Even if it is a few polite phrases. Over time, I came to understand that it would benefit me in many ways to learn the Greek language. Where to go though? Where to find this tuition – and someone with patience to teach me? Some courses and private tuition can amount to a lot of money lets’s face it! Well, I found a great course, and thanks to this, I now speak The Greek Language well enough to live here. Am I fluent? Not at all (I still have some modules to work through). I will not sit here and lie to you. In the space of a few months though, I arrived at a level to survive here comfortably and have the respect of the locals. Because I have succeeded with this course, I am going to go through it with you here. I want to offer you the chance to speak Greek just as I have done, without it costing you an arm and a leg. The course I am talking about can be found at the bottom of this page. Here is what is on offer! Fluent Speaking Instructors eager to teach and help you. Vocabulary and various language tools to assist you in learning. PDF lesson notes available for download direct to your PC. An active community where you can discuss the lessons and ask questions! So, Why This Course Over Others? I will be honest with you here – Completely! I wasted so much money (and more importantly time) looking for the right tuition package. Some started fine, then went too deep and confusing way too fast. Some were over my head completely. Some in fact were simply irritating! This course though, offers a simple and methodical approach. Not only that, it is fun too. It follows story lines which are really entertaining and you meet various characters along the way! It explains everything step by step as you move forward, and you can check your progress to ensure you have mastered a particular section before moving on. It contains a fully interactive platform and you can tick things off as you go. The Audio and Video files are all available for download too. This is what I did, and I learned on the move. One of the biggest problems for many people is they tend to zone in on one area of learning and the others do not get developed. This course ensures all of the important areas are developed effectively. For me it was important that the course did not leave me behind. Some courses move to fast. With this package it is separated into simple categories. There is no confusion. There are also sections on Survival Phrases + others which can be really helpful. They are easy to learn too and great fun!! I am not a believer in singing praise for people unless it is well-earned. In my opinion, this is the best course available for learning Greek. The tools and lessons are very robust and you can really get immersed into the course. It is fun to take part, which makes learning all the much easier. If you want to learn to speak Greek, then this is the way to go. There are thousands of people that have used this training course and achieved good results. Why not join them? You can sign up for free to give it a test drive, and if you do not like it, there are no hard feelings. If you decide to take it seriously though, you can sign up for full premium access. Do not worry, if you are not 100% satisfied you can get a full refund. There is a 60-day money back guarantee included. Please let me know if you have any questions on this material. Like I say, I have done the course and have arrived at a proficient level to know it works. If you plan to visit Rhodes (or Greece in general for that matter), then you will find this course really helpful and encouraging. Send me a message or leave me a comment if you need further information! I will be happy to help you out! Click The Banner Below And Start Learning Greek Today. To be honest, I always wanted to learn Greek. But here, I’m talking about ancient Greek (in the era of Plato) or the Greek of the bible. But it is so difficult that I’m intimidated. So I though that maybe I could learn the modern Greek and then go back in time, it you know what I mean. But A college (how’s) Greek says that he doesn’t understand the ancient way to speak. What do you think about this idea? You will actually find that Modern Greek is actually a simplified format of the Ancient Greek Language. A lot of the Grammar has been made easier to digest and speak/understand as opposed to the very complex grammar of Ancient Greek. On saying that, if you have a good grasp of Modern Greek, you will find that a lot of the Ancient Greek you will also be able to understand. If you want to learn Ancient Greek, then getting ahead with the Modern Language first is a great way to go about it. Great info for those you’d like to learn how to speak Greek. The course looks well structured and it’s great that it is suitable for all levels. Video lessons are so useful. These days any language course without video lessons feels like there’s something missing. Well done on learning such a challenging language! I’ve been to Greece many times and it’s so fascinating to be in a place where you don’t understand even a single word. I speak a few languages and understand around 10, but Greek is truly Greek to me! Well, certainly a bravo to you for having 10 languages behind you, that is some going. Great to hear from you Alenka. Did you learn your languages using a online/offline course, or have you been located in the countries of the languages you speak? I find learning a language very difficult at the best of times and if I have no way of speaking it after, then it’s just gone. I hear people all the time say learning a language is very rewarding and I would love to. My wife speaks French as well as English, and she has a lot of opportunity to use it. I just don’t, but wish I did. You have the perfect opportunity to learn French Stew, and you have a great reason to use it. Your wife speaks it. I know what you mean about being wet behind the ears – my greek is terrible, no matter what he tries to teach me. We’re lucky in Europe these days that most speak some level of English, but it would be lovely to gain the respect of the locals by conversing in their language a little. Would you say this GreekPod is a good choice for picking up a few simple sentences to use in local shops or bars etc? This is the problem Chris, because a lot of people from throughout all of Europe have a basic understanding of English, it makes the British people lazy. (In my opinion). All the time I see people from England, Ireland etc here on holiday, and a lot of them expect to have their native language spoken to them. I always remember overhearing one family in a hotel, and they were discussing going out, and the man responded with, I don’t want to go here/there, it’s full of foreigners and no one can speak English! Of course I a not targeting a specific country here, as people from other countries are the same, but the English are famous all over Europe for speaking only English! For the best part, Greek people do speak English, but if you venture away from the tourist areas, a lot of them do not. Also, Greeks like to see people making an effort, so some will not speak to you in your native tongue unless you make an effort first. A simple word or phrase shows you have tried, and this can unlock doors. 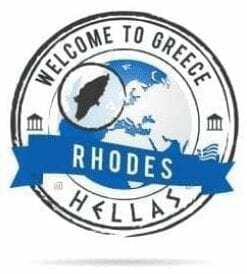 Great to see a post from Rhodes, I’ve been there a few times – even when Faliraki was no more than a small town, and that was many years ago. I picked up a few words over the years like how to say good morning, good evening and so on, but I never really studied the language. I do speak French and some German, and now I live in South Africa some Afrkaans. The problem I find travelling abroad is almost everyone wants to speak to you in English, they want to practice as much as you I guess. Thanks for the heads up on the course, I’ll definitely check it out before I go to Greece for another trip! Hey Les, everyone speaking to you in English can often lead to some people being lazy yes. When you visit Greece as a tourist, a lot of the people do communicate well in English, so things are not too complicated for the tourists. It is always nice to show a little effort though don’t you think? If you have German and French behind you, then you have a good base for learning Greek as some of the same rules apply. I have found in my travels with work, which has taken me to many countries in Asia, that knowing the survival phrases at least helps you to get about your daily business. So I am sure if I am ever told to go to Greece, I will need the absolute beginner or survival phrases at least. My heavy workload, will not permit me to learn a new alphabet. Therefore I want to know whether the survival phrases are available in English language. yes, the survival course within the GreekPod course is in English. You can learn what you need very easily with this course, and it has great lessons which will offer you every day situations. I found this most helpful to start with. As for the alphabet, do not see this is a hurdle. It is actually very simple if you follow the steps, and having the Greek Alphabet behind you will make the courses all that much easier. Let me know if you need some more information. i will be happy to help you out. I would like to be fluent in many languages, but I feel I am not very proficient at learning a language. I have a friend who is fluent in Spanish and English, this is what she went to college for and also studied Chinese. You have me curious that it would be easy to learn Greek with this course. How long did it take you to get to the intermediate level? I think it is great that I could start for Free and makes this very enticing. Thank you for the recommendation. For me it is not something difficult if you really want to do it. But rather than trying to concentrate on many languages like you say, just select the one. It makes things a lot less challenging! You have your friend too that seems to be very conversant with language learning, so I am sure she could offer you advice and support too. For me, learning Greek was made easier simply because I live in Greece now. When you are surrounded by it every day both in listening and having to read, it soon gets absorbed. For the course, I started with the Absolute Beginner, then through the Beginner level, then hit the Intermediate Level after 6 months. I am sure people can do things faster than this, but I am quite a thorough person and we all have a different learning pace. Take your time with it Alexander, and it will come. Try it and let me know your thoughts. I will help you out too where I can. I have always loved to learn Greek, my main inspiration being Socrates and Plato. I am much of a philosophical guy and would really love to know the words of these two great men in their original language so that I get their true perspectives. I have already signed up for the course and I look forward to learn lots. Great to learn you have made a start to the course Dave. You will not regret it. With your interest already being there with Greek history with the likes of Plato and Socrates, you will find as you progress that the course has a lot to offer. There are sections on history that I think you will really enjoy! Learning new languages is one of the best things one can do in life. With each new language, a new world opens up. You can read books in their original language and when traveling you can get to know a country a lot better. I talk from experience as I started with my first foreign language at age 15. Dutch is my mother language and by the age of 20, I had learned German, English, French, and Italian. Years later I learned Spanish but have to confess by not practicing French or Italian they get kind of lost. I think the course you recommend looks really good but as I am now 68 my grey cells are not so flexible anymore so I am afraid I will not learn Greek anymore. The younger you are when trying to learn a new language the better. Thank you so much for getting in touch Taetske, it is nice to hear from you. I agree with you totally, languages really can open doors for you and introduce you to a side of life that would otherwise escape you. Being able to watch the television, listen to the radio, and as you say simply read a book can be an arduous task if you have no knowledge experience. It helps you have an understanding, even if a little. If you are abroad, why not be able to read a bus timetable? Ask for directions and explain what you want? If anything it can be just good manners to try. Thanks once again my friend, it is nice to hear about your experiences. Huh? I thought you were a Greek native person since you share a lot of things about Rhodes Island. Sorry for the little misunderstanding. For me, I agree with you that when we travel to a new country, at least we should know how to speak some polite local sentences. In your case, It’s Greek. Before you found the Greek Pod 101, how many classes or places did you try? Whoa, the Greek Pod 101 has some better advantage that the language tool that I’m using… Mine doesn’t have the PDF version note for download, and it doesn’t have the forum/community for interaction for the learning process. Hmm…is The Greek Pod 101 useful for travelers and on-the-going process? To be honest, I tried many courses online, as well as buying books on Grammar etc. I even went to the local store and bought children’s books with pictures to help me. While these offered some tuition for me, I needed something that was engaging. This is what I liked about GreekPod101. Once I tried this, I never looked back. After some simple lessons and a few days I was interacting really well and I had confidence. It is a great package. Of course living in Greece helps too. This course will take you from the very beginning all the way to advanced. So it is not only for travelers/visitors (although it is perfect for this too). If you want to obtain a good knowledge of Greek, then this is the course to take. And no problem for the misunderstanding. 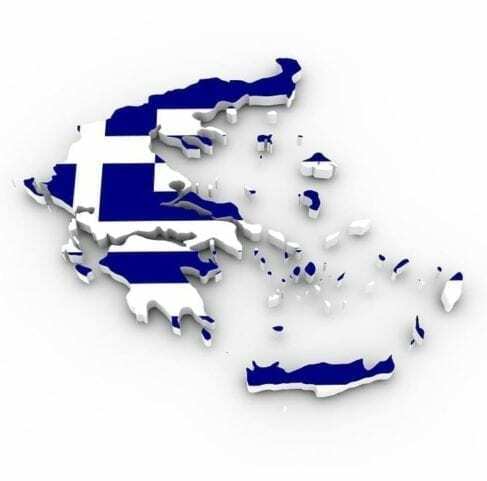 I am originally from the UK, but I have lived in Greece for many years now! Thanks and if you need anything else, just let me know. I’ve studied Indo-European languages a little, and I notice that Greek conjugations have some great resemblance to Spanish conjugations. Unlike Spanish, Greek still has a case system. Although English has conjugations, we don’t tend to learn the word “conjugation” — until we study Spanish in high school. This is because regular verbs in English have special inflections only in the third person singular (“jump”/”jumps”) — and only for the present tense (“jumped” — not “jumpeds”). English has some remnants of a case system — but only for personal pronouns (e.g., I/me). The bottom line is that Greek can say nearly the same things as English can — but it uses different words to do so. It can be a tricky thing to explain “conjugations” and “case systems”, to people unfamiliar with the concepts. Unfortunately, school courses commonly focus on grammar and a controlled vocabulary — teaching little about having a conversation. If my Spanish courses had been much good, I would have been speaking fluent Spanish. Glad to know you’ve found a product that works for you. Hello Michael and thanks for sharing your thoughts and experiences. In my opinion, and after making lots of friends from different corners of the world, English is one of the most difficult languages to learn. It is a very irregular language and it does not follow a set standard like other languages do. You give a fine example of this. Lots of people I know, whether they be from Germany, Holland, Italy, France and/or Greece, all struggle with English due to its irregularities. It does not follow set rules in many areas whereas other European languages do. Greek, although it can be difficult, still has rules. If you learn the rules (and the alphabet) then you will be well on your way, It is not as difficult as most people think. Its a great course Michael, and it works for sure. I think I might just try this course. You wouldn’t think I needed it because my partner is a Greek Cypriot and speaks fluent Greek! However his attempts to teach me have not ended well because he is too contradictory of my pronunciation of words. Some sounds are not natural to an English speaker. Do you have trouble with speaking Greek and also having the accent or is it just me? When I went through this course, I actually surprised my partner within a short period of time. I naturally started to use the language when I was out and about and with friends. She was impressed to see that i started to find my own way. Getting fuel for the car and asking for things in supermarkets and restaurants was not longer the issue it was before. As I progressed through the GreekPod101 course, it all started to fit together, and the accent comes with practice. My Greek is very good now and I can communicate effectively. Of course, living in Greece helps too, as the language is around me everyday. If you want to learn Greek, this is the way to go for sure Karen. Let me know if you need anything along the way! I can only imagine what you went through when you first arrived there with trying to live without knowing the language. It is nice to learn about the course that you have used to learn the language and survive in Greece and being able to communicate. I always search for first-hand reviews, and I like to buy things that I can trust, so thank you for providing your recommendation and review. Hi Lyndsay and you are welcome. I always like to listen to other peoples ideas, thoughts and opinions too before I look at buying something. I also used this same strategy for many courses in Greek. I have tried a lot of them, and I found this one to be the best. GreekPod101 is thorough and enjoyable. There is nothing worse than boring courses that completely blow your mind and confuse you from the outset. To learn Greek, for me this course has it all! Well I can’t plan a trip right now, but you never know what the good future can bring! I certainly would try a course for the language before a trip there. It sounds like you have vetted this one well, so it would likely be my choice too! Ah, I miss those traveling days! Yeah I feel it is always nice to travel with a little knowledge of the language of the country you are visiting. I think when it comes to taking a holiday, people are not expecting you to speak very well, and some do not expect you to speak their language at all, but isn’t it nice to make a little effort? Not only to shine a little, but it makes things so much easier. You can read certain important pieces of information for example at a bus stop, or on a menu. I think it all helps. I have seen so many people struggling and often it can spoil their mood. Of all the languages I would like to try, I find greek to be the most complicated to learn as the alphabet is quite complex. Good to know there is an online course that is easy to follow, and the fact that it’s in audio and video makes it more interesting. I will give your course a try especially before I plan my travel to Greece. I know what you mean though, the Greek alphabet can sometimes put people off. It is not as difficult as it look though, and a lot of the letters and sounds you will know from the standard alphabet that you already know. In my experience, it was not the alphabet or the language itself that taunted me, it was the speed that Greek people spoke to me (and still do). Sometimes it is hard to catch everything and you have to tell them to slow down. This course also takes this into account. The more you go, the more you understand. Eventually the slow tuition feels too slow and you naturally pick up the pace. Give it a try. if you are planning a visit to Greece you will not regret it! Thanks Anita. I am here if you need any help too. Hi Chris, this is super cool and I will travel to Greece in the summer. I will absolutely purchase this GreekPod101 package. It sounds super structured and easy to learn. I learned English the same kind of way in just 6 weeks. And although it might not be perfect, other people can understand me. I think it would be so cool when I go to Greece and I can talk with them in their language. Great to hear from you Aaron, and your English seems at a very competent level. Well done. If you can do it with English, then you can do it with Greek too. You know something, it is not about being perfect. If you try always to perfect things you will not make progress. The object is to be able to communicate. If you can do that, the rest will follow. I was the same. I was always worried about getting the accent right, or worrying too much about the grammar when I was attempting the Greek language. One friend of mine told me one day, just speak. You will learn from the mistakes. You will not learn if you are frightened of sounding silly. Taking this advice on board, and following this package from GreekPod101, i made wonderful progress in a very short space of time. So, no time like the present. Start learning as soon as possible, and come the summertime you will be ready to show off to the locals! Thanks Aaron, and I am here if you need anything! Thanks for explaining this course so clearly. I love learning languages but tend to conquer the speaking more successfully than the comprehension. If I sign up will I get plenty of opportunities to hear different people speak Greek? Do you think 2 months is enough time (studying a few hours nearly every day) to get a good handle on the language? Hi Alisa and thanks for your questions. I will be honest and say that 2 months will certainly be enough to get you going. In actual fact, to study all of the material would take you a lot longer as there is so much to cover. Within the course, you will interact on the platform and you can communicate with actual Greek people. All of the audio courses are with native Greek speakers, and as you progress you will meet a lot of people along the way! In all honesty, to be at a comfortable level and to speak with confidence, I would say 6 months would be a better time frame. I actually signed up for the year, and within that time I grasped a good knowledge and understanding. It is the best course on the market, without a doubt! If you need anything more just let me know Alisa, I will be happy to help you. Greek is not my mother tongue. I like Greek chants and Christmas songs however, but I am having a difficult time translating the words every time I try to translate them . I would like to learn the Greek language. However I barely find the time and it is great that i found your article. I am actually trying to find a way to learn Greek using my mobile because i am at work most of the time. However, i have around 2 hours every day that i can use for learning the language. i am not in Greece. I would like to ask what do you recommend for me in this case? Hello Sam and thanks for reaching out to me. With you not being in Greece, I want to assure you that this is not an issue. There is a lot in the way of resources to submerge yourself in the language without actually needing to be in the country. So please do not worry about this! Having 2 hours available to you on a daily basis is also more than enough time to get to grips with Greek. If you can allow this time as often as possible to give your attention to the lessons you will do just fine. Also, I want to make you aware that you can study on the move. A special app has been created that you can use on your smart phone, and you can access all the course lessons (audio, video and lesson notes) on the move. Do not worry at all, this Greek Language Course has you covered. Let me know if you need something else Sam, I am here to help you. One of the advantages offered by the world today is the possibility of learning from anywhere on any subject. I agree with you that it is not easy having fluency when you decide to learn a new language, but you need to learn the language basics for the first talks. I think this is the problem with some of the courses you find on the market. Some start quite slow, but they get heavily involved early on and the basics are not covered in full before moving on. What I like about this course, is there is a section completely dedicated to pronunciation and as you move through the lessons there are some great insights that teach you the way things need to be. For a Greek Language course, this is the way to go, without doubt! I like to learn foreign languages . It is actually one of my hobbies. I have learned how to speak Korean, Thai, Japanese, French. Now learning Russian and Spanish. 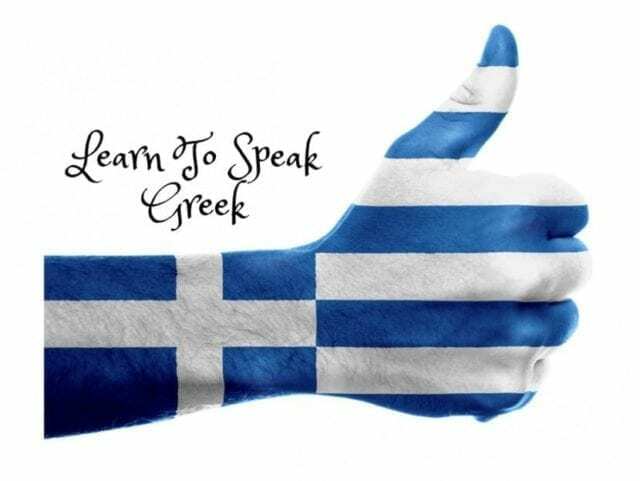 Well I will be honest with you, if you have the brain power and amazing talent to learn all of these languages you have already learned, I have every faith that you will master Greek too! The main problem with Greek is coming to terms with the alphabet. On saying that, i do not think Korean is a walk in the park either am I right? Greek can be as hard as you make it to be. It is a challenge, but if you are committed to learning and enjoy the study and the courses, then this opens an easier door for you. I hope you give it a try, and I would love to know how you find it all too! Thanks Wilson, I appreciate you getting in touch. My Son is studying Greek at the moment and will be taking his common entrance in June and he has found understanding the Greek language a bit challenging. I came across this page and I am certain that with over 1000 videos and audio lessons, we will certainly be able to get somewhere before June. Imagine him speaking fluently in front of the examiner when he is supposed to know just a few words?. Hey there, I am happy the information here opened another door for you. How old is your son incidentally? This course brings surprising results, and you will be amazed how fast you can pick up the language and start conversing. Even after the first 4 or 5 sections I surprised all of my Greek friends one day, they were really proud of me and it made me feel good. Certainly between now and June your son could hit a real competent level without doubt. It would be great for him to come out and display his new language abilities while leaving his examiners speechless. What do you think? Thanks for getting in touch, and please let me know if you need any more details! I always thought Greek was very hard to learn because of the alphabet, which is very different than the standard alphabet. You did a great job here, explaining in detail what this course is about, and it seems to be a very high quality one! The great thing is that it has lots of video and audio courses, which makes the process of learning easier. The interactive part seems very interesting too: is there a way that students can communicate with each other, or with the teachers? Hey there David, thanks for looking through here and for your question. Yes, in all honesty this is an awesome course. I did a lot of messing around in the beginning and I made a lot of mistakes. I actually came across this course through trial and error. Maybe you know the way it goes, the best one is always the one you find last. The audio tuition makes it a really awesome platform to learn from. The way it has been put together is excellent as it takes you from one step to the next without blowing your mind. I loved it. There is indeed a way to communicate with each other too. You can get involved in the platform, ask questions, make friends and even talk with the instructors. This package has it all under one roof. Let me know if you have any more questions David. Nice to hear from you. This sounds like it would be an awesome way to learn any language, and that’s great you’ve found it to learn Greek with! As a language learner (Spanish) and instructor (English), I definitely believe it’s important the course doesn’t move too fast. You’ve got to be able to stay afloat somewhat before they toss you in the deep end, or you’ll feel overwhelmed and give up! Plus, it sounds like the stories are genuinely fun and interesting. Do they provide you the stories in Greek followed by an English translation, or how do they work? Can you also schedule 1-to-1 Skype lessons? This is what I like about this Greek Language Course, it does not throw you into the deep end at all. It is laid out in such a way that you study step by step. Once you have mastered the step, the next move is a natural progression. It really is easy and enjoyable and with no stress! There is also a one to one tuition feature and you can have your own private teacher yes. It is all run from the GreekPod Platform too, so no need to use external apps or programs. This is also an awesome way to get the best out of your membership, but it is not something you have to do. You can opt out of this one to one learning if you so prefer. It is a great course Jason, let me know if you need something more! I find the challenge to learn a foreign language fascinating. I have some Spanish and French at my disposal and it now looks like Greek may be on the list. There are some Greek families living in my community, and I would love to converse with them in their tongue. How hard would Greek be compared to French ? I found Spanish relatively easy. French loses me completely I will be honest. Considering I actually studied this at school I am sad to say none of it seemed to stay with me. I found Greek a lot easier to digest overall, but I have to say living here in Greece and being immersed in it made it all the easier. The hardest part was to master the alphabet and the different sounds. As it is different to the standard alphabet most of us have come to know and love, this was a hurdle. Once I had this down though, I felt it was quite straight forward. Challenging yes, but not confusing. Again I think this comes down to the tuition. This course I followed here was really enjoyable too. Lots of characters, story lines, humor – I really enjoyed it! To be honest Andrew, even if you did the Absolute Beginner and the Survival Phrases Section, you would have your local Greek community turning their heads in your favor. Hope this helps, let me know if you need anything more! Studying a foreign language can be definitely a challenge in many ways. I think that the first challenge is to actually start studying. The second challenge is, as you mentioned in your post, to find the right study materials. Having a private teacher is great but it costs so much, plus you will need to find time for the teacher to come in or you to visit the teacher. Distance education is the way to go! It is great that the Greek Pod program allows you to study Greek online and provides you with such an amazing support! If I decide to learn free, (which might happen, you never know), I will definitely use your recommendation. Hey there Anna thanks for reading. You know, the online world has expanded so much in the modern day, and education online is something that has really accelerated. What I like about online tuition, is you can go over the material again and again until you are confident you have it mastered – and it does not hinder anyone else! In the modern day classroom you cannot do that. It is impossible to have a class full of students and to keep delaying a lesson because you do not understand something. We all have different ways to learn, and some take longer than others. I remember when I was undertaking a certain lesson in this course, and I went back over it again and again until I was satisfied. You cannot do that in another environment. With this course too, you can get involved with the discussions and ask questions, and the experts are there ready to help you and answer your queries whenever you need. I tried many avenues when it came to learning Greek, and this one proved to be a great choice! I also find it hard to memorize the Greek language, in fact I always struggle when trying to learn a language which is not using our alphabet as it is very confusing for me. Most courses focus on speaking and reading and as soon as I am struggling with reading the language, I lose the focus on speaking. Will check out your suggestion and hopefully it will get at least the basics into my brain so I will be able to speak a little Greek on my next trip to Athens. Hey Joe, to be honest, that is one of the things that put people off learning Greek – The Alphabet! I will say though, with this course I found it very easy. When I first came across all the squiggly lines and strange sounds I thought ‘what the hell is this?’, but actually following a few simple lessons and examples, it stuck in my mind pretty fast. To me now, it is more dominant in my mind than the English Alphabet! Once you have these simple basics in your grasp, you will find the rest follows on with a more natural flow.